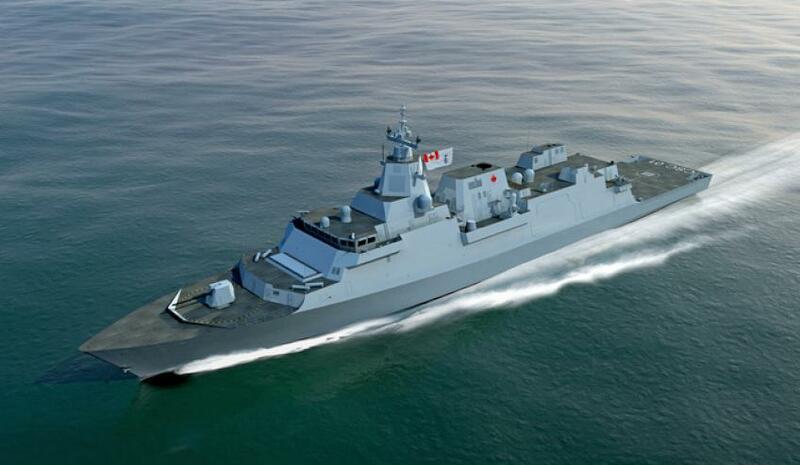 Major defence primes, including one bidding to secure the $35 billion Australian Future Frigates Project, have teamed up and confirmed they have delivered a group bid for the Canadian Surface Combatant (CSC) project. Lockheed Martin Canada and the UK's BAE Systems have submitted a joint proposal for Canada's new fleet of up to 15 warships, a project the Canadian government is expecting to cost about CAD$56-60 billion. Under the joint bid, the companies are offering BAE Systems' Type 26 Global Combat Ships (GCS), a variant of which – the GCS-A – has been offered to Australia by BAE Systems for the SEA 5000 project. The Type 26 GCS is currently being manufactured for the UK Navy at BAE Systems’ facilities in Glasgow. "The Type 26 Global Combat Ship is a flexible, next generation warship design that offers a low risk and affordable solution for the Canadian Surface Combatant program," said Anne Healey, country director, Canada, BAE Systems. "With the UK Type 26 program running ahead of CSC, our Canadian ship will benefit from lessons learnt on the UK program. This schedule also allows Type 26 the opportunity to be the most advanced Canadian Surface Combatant." The joint bid is also made up of CAE, L3 Technologies, MDA and Ultra Electronics. Under the joint solution, Lockheed Martin will act as the combat systems integrator, offering the internationally renowned Canadian-developed combat management system, CMS 330. Lockheed Martin said the team approach to the CSC project paralleled the Canadian government's Defence Policy, called 'Strong, Secure and Engaged'. “The Defence Policy released earlier this year announced the government’s new vision for the Canadian Armed Forces, and as a pan-Canadian team, our approach to CSC implements these Defence Policy pillars where we are offering the right ship for the Navy to enable them to be strong; we are offering proven, Canadian pedigree of companies to ensure successful program execution is secure; and we are offering a solution that ensures sovereignty is maintained by bringing the direct jobs on CSC home to Canada so that we are engaged and able to sustain the CSC ships throughout their lifespan," said Rosemary Chapdelaine, vice president and general manager, Lockheed Martin Canada Rotary and Mission Systems. Collectively, Lockheed Martin said the joint team employs more than 9,000 Canadians in over 40 facilities and the collective Canadian supply chain consists of approximately 4,000 contracts Canada-wide. As of July this year there were 12 pre-qualified bidders for the project, but the Canadian government will not confirm how many bids it receives until a decision on the project is made. It is anticipated that the Canadian government will be made by mid next year, much like Australia's Future Frigates decision.